Hi you can call me blue. Sorry but I do not do F4F. homework has made it hard to be on consistently so do not get mad at me for not being active sometimes! i got 3rd place in one of the categories! 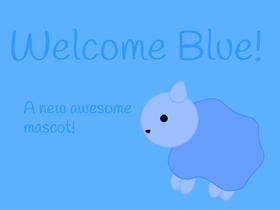 my new little mascot blue! Notice Me!- anyone invited add your projects.